1. 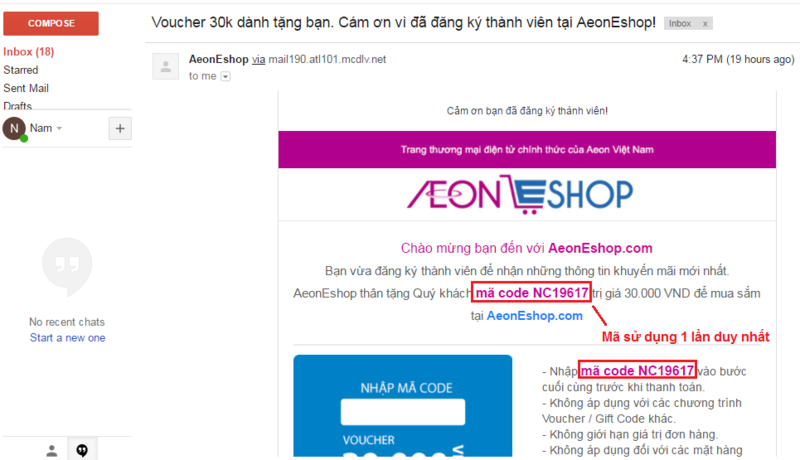 Check mail đăng ký và nhận mã Voucher. 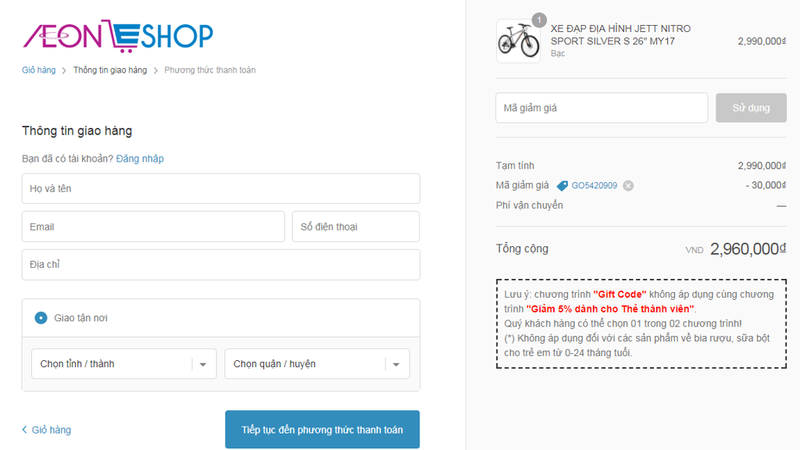 Mã voucher chỉ sử dụng 1 lần duy nhất. Main office: No. 30 Bao Tan Thang, Son Ky Ward, Tan Phu Dist. Ho Chi Minh. Issued by the People's Committee of Ho Chi Minh City for the first time on 07/10/2011. Head office address: 30 Bao Tan Thang, Son Ky Ward, Tan Phu Dist. Ho Chi Minh. Business lines: Retail and e-commerce. Website: www.AeonEshop.com Owned by Aeon Vietnam Co., Ltd.
Have you entered AEON member code or employee code to accumulate points to receive more incentives? Installment program only apply for one item. Now your cart's having more one. If you want continue to buy this item, system will auto clear your cart before add this item in cart.